The FullCourt FCH664–XL is truly top of the line! This unit provides all the performance of our largest hoops with a slightly downsized 42"x60" backboard. The 6" post has a 48" offset, 60" tempered glass backboard and our ClearView backboard mounting design just like the pros play on! 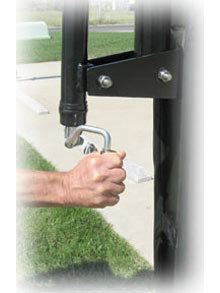 Adjusts from 10' down to 5' – Lowest adjustment height available. 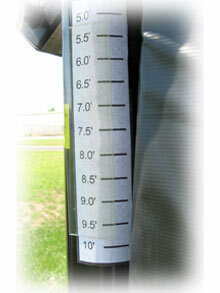 Easy to read rim height indicator shows exact height of rim. 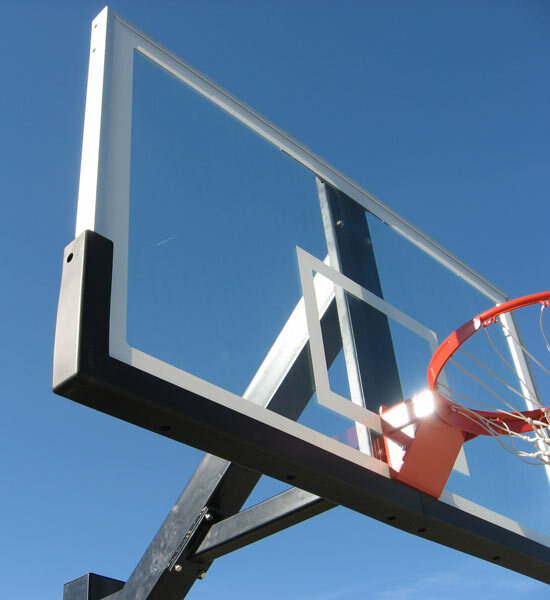 Thick ½" Tempered Glass – 42"x60" is the perfect size for half court. 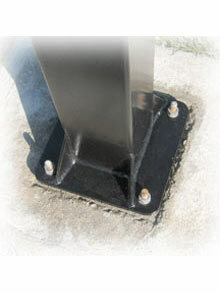 Tough As Nails – One piece 6"x6"x 7 gauge square pole with 48" offset is designed to withstand even the most aggressive slam dunk action. FREE! Post & Gusset Pad & Backboard Pad – Keep your players safe with pre-installed post pad and backboard pad.